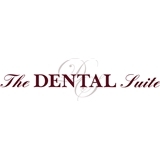 The Dental Suite (San Francisco) - Book Appointment Online! The Dental Suite is a dental office, located in the South of Market district, in the beautiful city of San Francisco. We named it The Suite to reflect an atmosphere of a place, where you may want to stay for awhile and explore a new level of personal attention: professional… courteous… accommodating… friendly… thoughtful… caring … consistent. A place, where we take care of you in an atmosphere of decadent ambiance with a modern twist. Dr. Fathi and the dental suite team were amazing. Highly reccomended! Amazing! Felt welcome and well cared for by entire staff.